One of our specialties is repairing Volkswagen® / Audi® automatic transmissions. We have saved Audi and Volkswagen drivers thousands of dollars by repairing or rebuilding VW Audi transmission repair is our specialty. 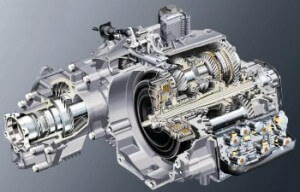 The automatic transmissions available on VW and Audi vehicles are some of the most innovative and well engineered transmissions ever offered by an automobile manufacture. If properly maintained the Volkswagen / Audi automatic transmissions will give exceptional performance and can last a remarkably long time.